The Power Max II beats all other router grinders! It offers a 1/8 HP motor, a 9-1/2" × 9-1/2" easy glide worksurface, 1/4" and 1" chrome hardened Silver Bullet Bits, a speed of 2300 RPM, 2 custom fit sponge holders, an advanced Super Sponge water cooling system and a 6 year warranty. 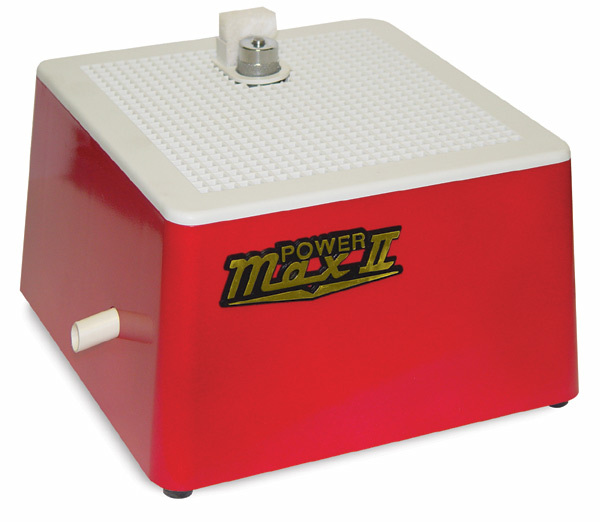 ® Diamond Tech is a registered trademark. Power Max II is a trademark.